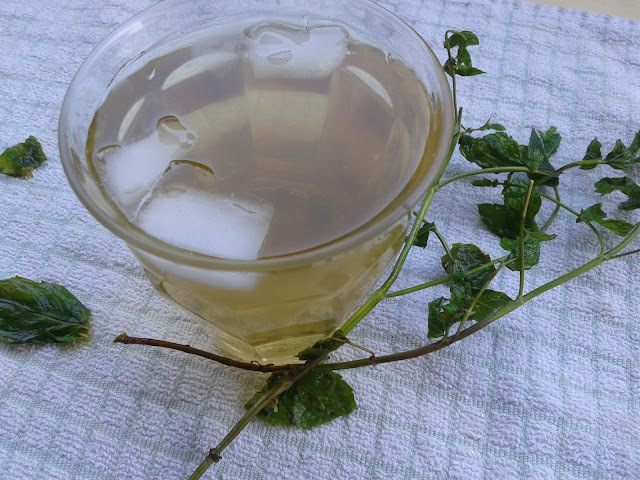 There's just something special about a glass of fresh mint tea. The delicate flavour and intoxicatingly sweet scent make for a perfect chill-out drink on a lazy mid-August day. Soak three whole stalks of mint leaves in half a litre of boiling hot water (in a jug or teapot). Leave to cool in the fridge for about an hour. To serve, pour into individual glasses, pouring from a distance above the glass to add air and create bubbles. Top with a few ice cubes and enjoy! Hi. I just got introduced to your blog and i'm loving it. However i have some questions. Please can i have a contact detail to reach you on? Thank you. Hi, thanks! I'm glad you like it. To get in touch, you can send me an e-mail on: vegannigerian@gmail.com Looking forward to reading/answering your questions.